Located in Quesnel, this Trophy Rainbow Trout Lake is well known around the world for its large Rainbow Trout. The season begins with ice off and mid April finds us in the weed beds with good catch rates daily. This fishing continues through May and June moving out deeper into the lake as it warms up. The fishing gets good again in September when the nights start cooling off and the days are still warm and enjoyable, as the fish begin to forage to pack on extra weight for the winter. DragonLakeWith the Blackwater strain being present in these large trout, be prepared for a great fight, with lots of big runs and jumps. The trout in lake average 3 to 5 lbs and 8 to 12 lb fish are caught often. 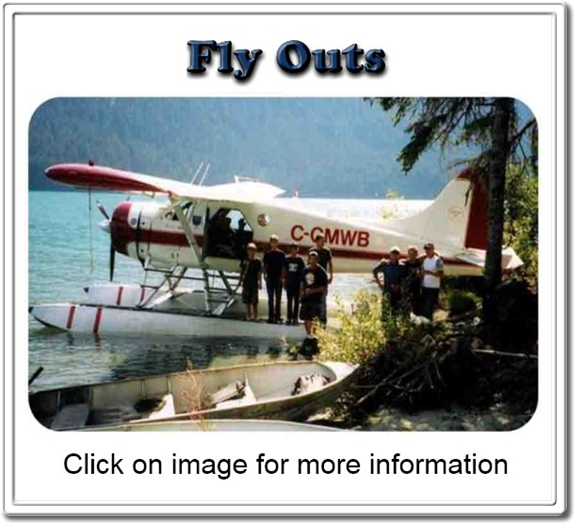 I like to anchor up and cast and retrieve into the weeds or work the edge of shoals Chironomid fishing is an effective way to fish this lake and our resident guides know all the locations where the fish school up. We teach lake fishing techniques and help every one from beginners to advanced fly fishers. Fly tying is available at the lodge and using a fly you have tied to catch you trophy trout, makes the experience that much more rewarding. This is my favorite Lake for taking guests starting the sport or looking for a great experience in the wilderness. We teach trout tactics and have many people start chironomid fishing here. The rainbows average 3.2 lbs and give you a sore wrist by the end of the day. Range, fishing this lake is a must. We chironomid fish this lake in the morning and when the hatch comes off the lake, we switch to dry flies. We like to fish this lake the next day for more exciting action. The lake is smaller in size and the fish are 1 to 3 lbs. We have a few special spots that have brought a lot of enjoyment to our guests. Dry fly fishing happens often on this lake and if you work quickly can have a blast casting to rising trout. One of my Guides set up camp here in the spring for his own get away. He knows this lake well and will have you into fish. Large Rainbow Trout lurk in its depths, the fish range in size from 2-10 lbs. they are exceptionally beautiful Rainbow Trout. Spending time here has allowed us to unlock the lake's secrets. This lake is best fished in the end of May, early June and September. Heavy tippet 8 to 10 lb range would handy to have with you. We drive out from the lodge each day to fish this lake.